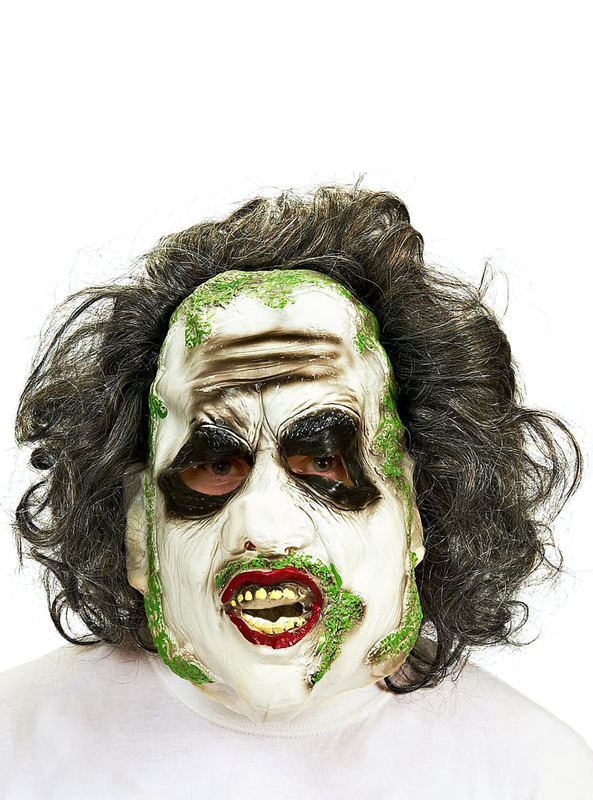 Complete your dying Beetlejuice costume with this Beetlejuice mask with hair for an adult. Beetlejuice is a character created by film maker Tim Burton. He is dead and lives in no-world, a recreation of the real world according to the vision of the dead. He is able to transform his body at will into the most grotesque form. Includes a horrible vinyl Beetlejuice mask with a white face and filthy green spots, black eyes, stained teeth and wavy hair. Upload your photos to Instagram with the hashtag #funidelia followed by #funidelia52250.